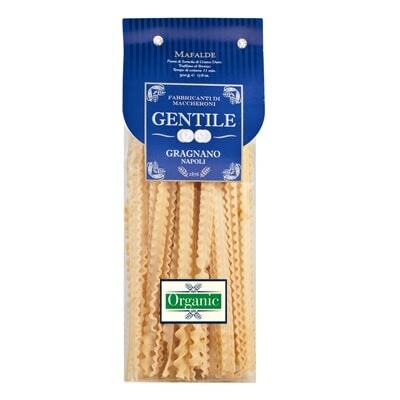 A beautifully grand type of pasta, you can serve this Mafalde pasta by Gentile with a variety of sauces, especially savory meat sauces such as ragù. Or if you prefer, simply toss it with butter, Parmesan, and a dash of pepper. But why call it “grand”, you ask? Well, this pasta got its name from Princess Mafalda, who was the daughter of Italy’s King Vittorio Emanuele III. In fact, these pasta strands with their frilly edges also go by the name “little queens”. Treat yourself and your guests with this lovely royal pasta. Grab a pack today!